Gormish Chiropractic & Rehabilitation knows the history and the relieving treatment for disc herniations that once were known as spinal tumors! Gormish Chiropractic & Rehabilitation decreases pain related to the intricate connections of the spine and its nerves, discs and muscles that cause back pain and neck pain when the spinal elements go awry. The Carrolltown chiropractic treatment plan for Carrolltown scoliosis at Gormish Chiropractic & Rehabilitation incorporates gentle, non-surgical care that may be quite relieving. What Is A Healthy Intervertebral Disc of The Carrolltown Spine? Gormish Chiropractic & Rehabilitation asks Carrolltown back pain patients if they know what a healthy spinal disc is. Gormish Chiropractic & Rehabilitation knows it well! Gormish Chiropractic & Rehabilitation knows how pregnancy puts some women at higher risk of certain spinal conditions later in life and helps relieve the pain. Gormish Chiropractic & Rehabilitation diagnoses spinal stenosis based on clinical findings and uses MRI sometimes to verify the diagnosis. Gormish Chiropractic & Rehabilitation helps Carrolltown chiropractic patients who have ankylosing spondylitis. Gormish Chiropractic & Rehabilitation may recommend that Carrolltown back pain patients use a back support for a period of time while they heal. 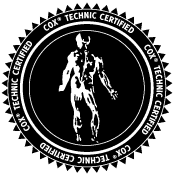 Gormish Chiropractic & Rehabilitation offers Cox Technic treatment for the relief of back pain and/or leg pain due to synovial cyst. Carrolltown chiropractic manipulation of the spine and diaphragm may help relieve chronic non-specific low back pain.